The Epicurean Hotel in Tampa, Florida was recently named Marriott International’s “Opening of the Year” of 2013. The accolade is based on a set of criteria and guiding principles, including adherence to the opening team plan, opening on time, communication with the Marriott team and incorporating Marriott culture into the hotel’s concept. The Epicurean was also recognized by Condé Nast Traveler as top hotel in Florida. TAMPA, Fla. (November 3, 2014) – The Epicurean Hotel in Tampa, Florida was recently named Marriott International’s “Opening of the Year” of 2013. The accolade is based on a set of criteria and guiding principles, including adherence to the opening team plan, opening on time, communication with the Marriott team and incorporating Marriott culture into the hotel’s concept. 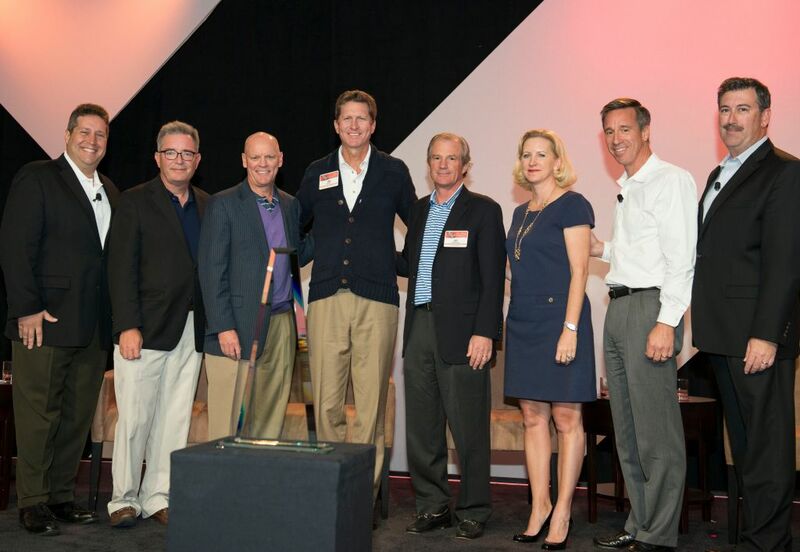 The announcement was made during Marriott International’s North America Full Service Ownership Meeting in Tucson, Arizona earlier this month. “The Epicurean serves as a shining example of how to successfully plan and execute a new build Autograph Collection hotel, by designing a one-of-a-kind destination for connoisseurs of food and wine,” said Kip Vreeland, chief officer of full service franchising for Marriott International. The Epicurean also secured the #3 spot in Condé Nast Traveler’s 2014 Reader’s Choice Awards for “Best Hotels in Florida.” Selections were determined via questionnaire from a variety of categories, including rooms, service, location, food/dining, design, activities/facilities and value. Candidates must receive a required minimum number of responses to be eligible and are then judged by criteria relevant to their category and based on a five-point scale ranging from excellent to poor. The mean average of these ratings determines the final score published. Located in the trendy Hyde Park historic district of South Tampa, Fla., the food-focused Epicurean Hotel features a state-of-the-art culinary classroom known as the Epicurean Theatre; Élevage, a restaurant where classic recipes are re-imagined; EDGE rooftop bar; Chocolate Pi pâtisserie; Bern’s Fine Wines & Spirits wine shop; Evangeline full-service spa; and 5,200-square feet of flexible event space. The Epicurean Hotel was developed in collaboration with Mainsail Lodging & Development and the legendary Bern’s Steak House and is the first newly constructed hotel property in the United States to join the prestigious Autograph Collection® of Marriott International, Inc. (NYSE: MAR). For information or reservations for the Epicurean, please call (855) U-AWAKEN (829-2536) or visit www.EpicureanHotel.com.